The app includes all sorts of great audiobooks aimed at kids between the ages of 5 and 16, which means the arsenal includes everything from kids’ classics to modern young adult best-sellers. To get started, San Diego, CA Honda owners just need to visit www.hondareaders.com and register using their vehicle’s VIN number, and scores of free audiobooks will be made available immediately for streaming through their Honda cars. Even better, there are extra questions available for parents to ask their children during and after reading these books to further engage them in making the most of their reading experiences. Considering the average American family spends about four hours a week in the car, this is a great way to make the most of that time. 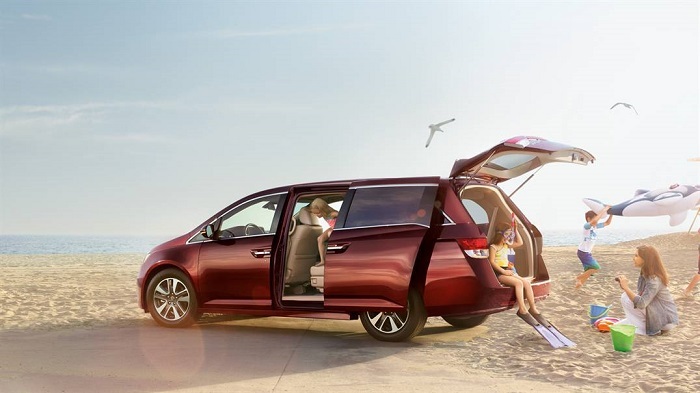 While vehicles like the 2017 Honda Odyssey make in-vehicle movies accessible, the Honda Road Readers app is available in any model, and it’s also a whole lot more beneficial to the cognitive health of your youngsters. Stop by Pacific Honda and ask our experts about the Honda Road Readers app today!